Grind chilli powder, coriander powder and turmeric powder together with little water and keep it aside. Heat 2 tsp oil in a manchatti/ claypot or pan and add sliced onion, ginger, green chillies and few curry leaves and saute well. Add ground paste and saute till raw smell disappears. Then add thin coconut milk and mix well. Add cleaned squids, chopped mangoes and salt and cook covered in low flame. When the squids are done, add thick coconut milk. Bring it to a boil and remove from flame. like Chitz..slurping here too !! :D...just great,esp with plain rice ! 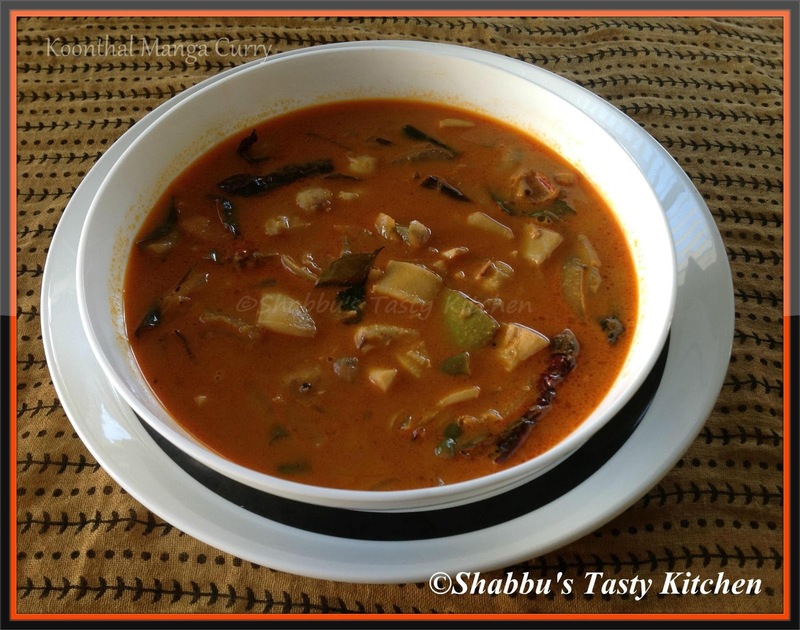 This curry makes me drool,long since I have tried this.bookmarked.